The Crucible is a book based in the town of Salem, Massachusetts during the Salem Witch Trials. In this book, many people throughout the town of Salem believe a child is dealing with the devil. This belief drives the townspeople into hysterical fits. As the child is investigated, adults and children alike are accused of dealing with the devil and people end up losing their lives for falsely confessing or refusing to give their lives to lies. Unfortunately, in today’s society, similar accusations are being given, just as in the Me Too movement. Some of these accusations may be true, but an end needs to be put to the false accusations being given just to gain attention. “Uncle, the rumor of witchcraft is all about; I think you’d best go down and deny it yourself” (9-10). Just as the rumor of witchcraft was spreading throughout the town of Salem, the rumor of men sexually assaulting women is spreading throughout the entertainment and other industries. The Me Too movement is fighting to stop sexual harassment of women in the workplace and spread awareness of it. The issue with both of these events is that people are accusing others because there was an initial accusation which lead many people to start accusing others. I recognize that many of these accusations brought about by the Me Too movement may be true, but I also fear them. I fear that these accusations may lead people to falsely accuse others, just as the upstanding women in The Crucible, that have, “…lived so long with such an upright reputation…” (91) were falsely accused of dealing with the devil. 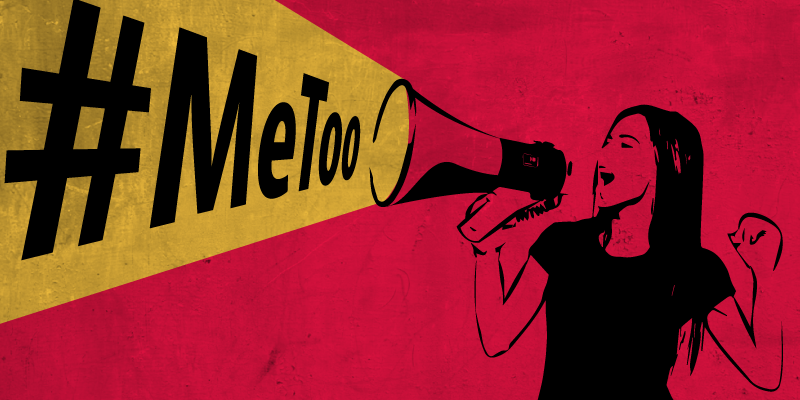 At first, I didn’t know much about the Me Too movement, but I chose to write about it because my librarians talked about the movement and I wasn’t sure what topic would be best to write about. Even though I started with this topic which I knew very little about, I now want to talk about it so that I can help to put an end to people accusing others just to gain attention. I connect to this topic because I too am a woman, and, like the other women fighting in this movement, I do not think it is okay for men to abuse women in their place of work, or any place for that matter. I’m writing to the women of the Me Too movement who are fighting for equality in the work place. Women such as Dylan Farrow, Woody Allen’s daughter, and Uma Thurman, star of the movie Kill Bill, have accused men of sexual assault. Uma Thurman accused Harvey Weinstein of doing unpleasant things to her body. Dylan Farrow accused her own father, the filmmaker, Woody Allen, of sexually abusing her when she was seven years old. One of the stars of the movie, Mighty Aphrodite, Mira Sorvino, even said that she would no longer work with Woody Allen, who also starred in the movie, Mighty Aphrodite. Many women have even come forth claiming that billionaire Steve Wynn forced them into unwanted sexual acts. I understand that we cannot let these assaults evade us, but it is imperative that we women carefully consider our accusations before giving them. If falsely given, someone’s life could be completely ruined just because someone wanted attention. Women, please, watch what you say. Many women out there are coming forward and accusing men of sexual assault and it can be tempting to follow suit to gain attention. I understand the horrible reality that many of these accusations are true, but it is also wrong to falsely accuse people of sexual assault, which I fear that many are doing just to draw attention to themselves. In The Crucible, initial accusations lead to many people being falsely accused and losing their family, land and integrity. Women, let’s avoid what happened in The Crucible, based upon the historic Salem Witch Trials. Let’s not accuse people of things that they didn’t really do just to gain attention to one’s own self, and, in effect, hurt others without meaning to.